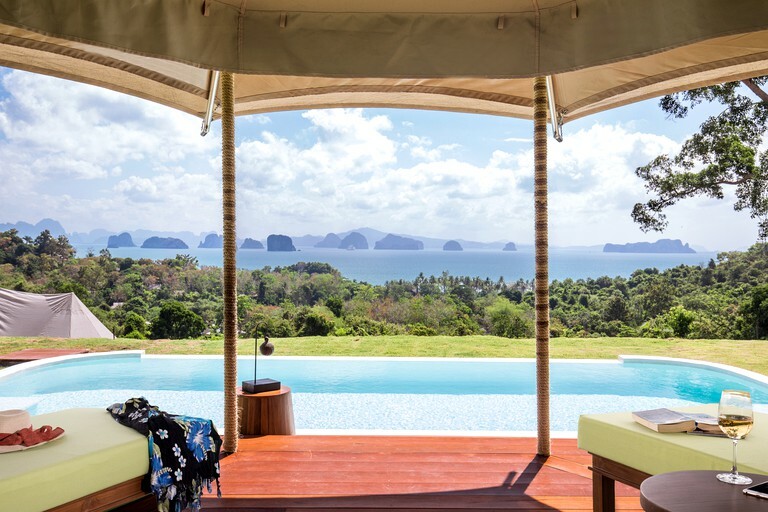 Guests will be left speechless by the luxury of this tented villa rental in Phuket, Thailand, which boasts both a private infinity pool and views of the Koh Hong Islands. 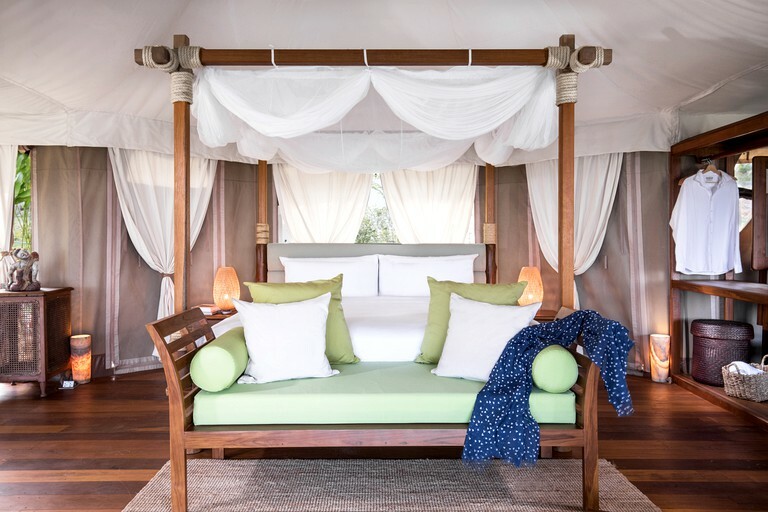 The luxury tent can accommodate two guests—perfect for a romantic retreat—and comes with an imperial bed, which is 200 cm by 210 cm in size, with plush linens. Outfitted with the most current green technology, including its air conditioning, the tent is both eco-friendly and luxurious simultaneously. Fiber optic cables and Wi-Fi are installed, so guests will have an internet connection despite the lovely remote location of the property. 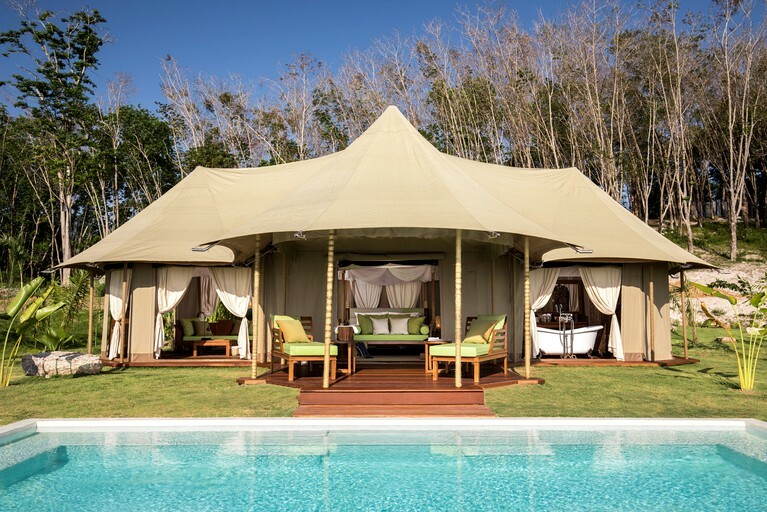 In addition, the luxury tent also boasts a reading room and a private bathroom with a bath tub and a vanity. Other amenities include a mini bar with a refrigerator and coffee and tea making facilities. 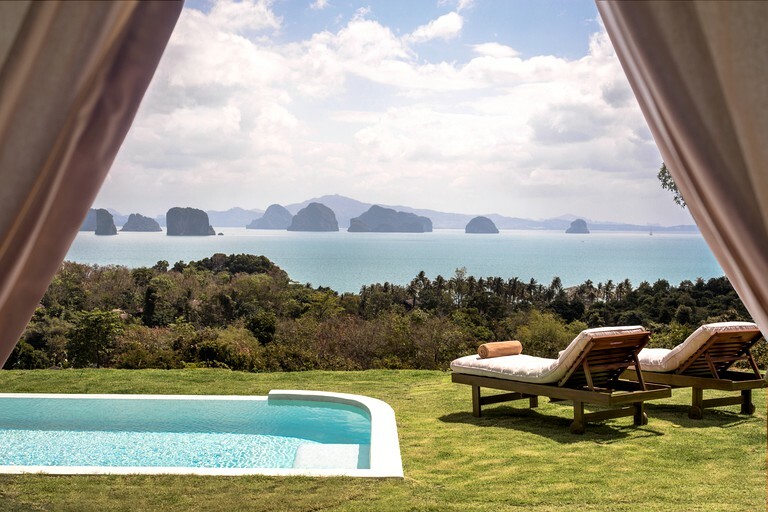 Outside, the hillside tent has 180-degree views of Phang Nga Bay, as well as a private garden and the aforementioned private pool, which is 28 square meters in size. Here, guests will find private outdoor seating and dining space. 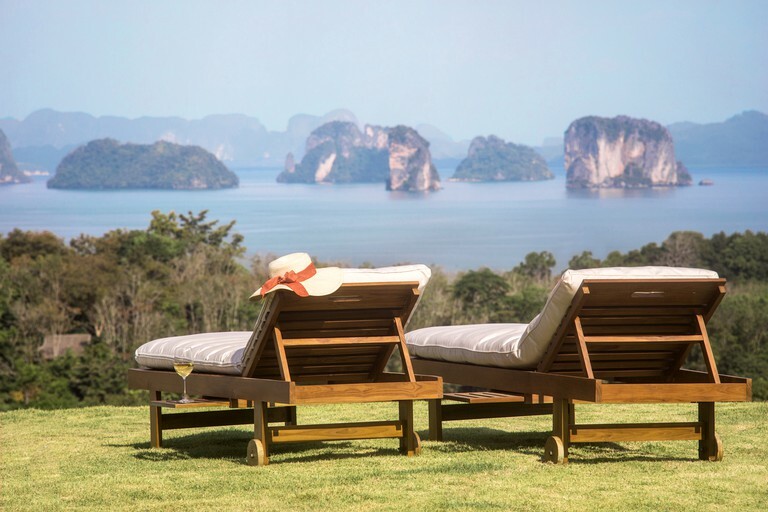 From each of the luxury tented villas, guests will have panoramic ocean views from their private terrace and infinity pool. 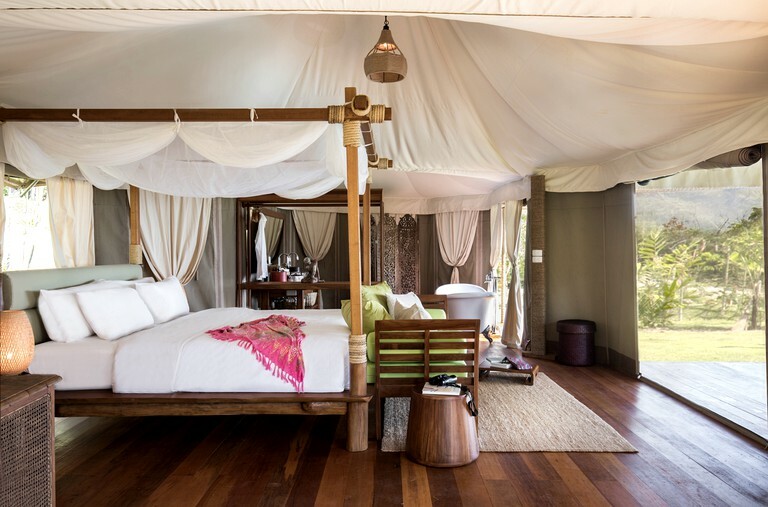 Each tented villa comes with a sleeping area, a bathroom area with a bathtub, and a reading area. 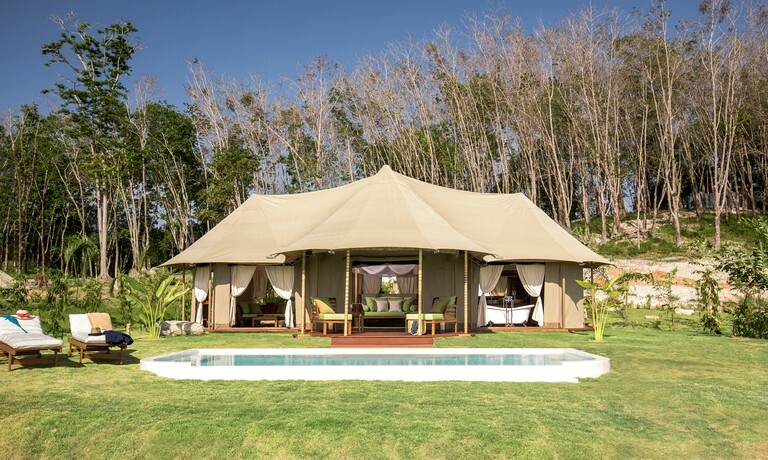 The tents are eco-friendly and are outfitted with a low-impact structure, a special bed air conditioner, low-energy fans, and FSC wood. There are in-villa dining and butler services. 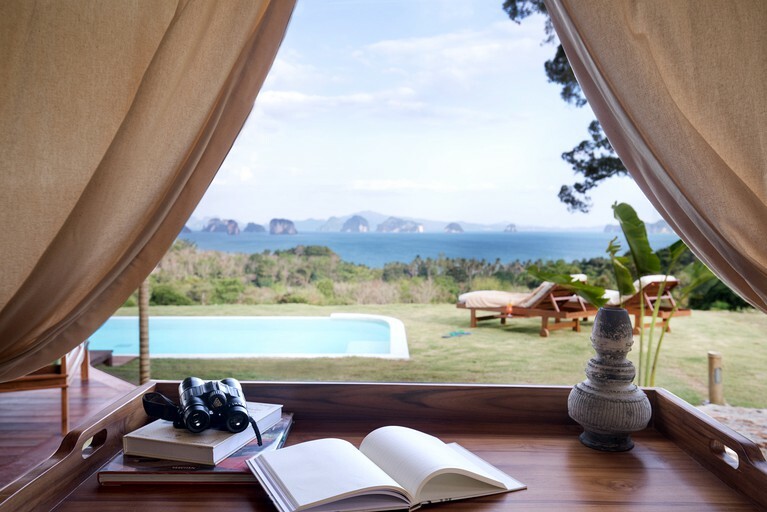 In addition, there is a complimentary shuttle service between the tented villas and the main resort. All guests have complimentary access to kayaks and snorkeling equipment and badminton and volleyball facilities during their stay at the island resort. Other popular activities on the island include mountain biking, canoeing, scuba diving, rock climbing, yoga, and Batik painting. 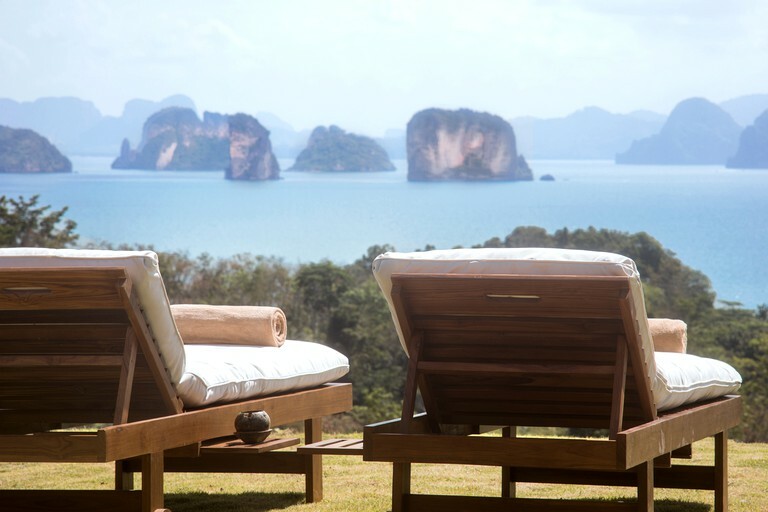 Guests also have the option of touring the Phang Nga Bay, an excursion that the hosts will organize if interested. This national park consists of more than 100 limestone islands with incredible deserted beaches and snorkeling. Taxes are included in the daily rate.